Harry doesn’t mean to enter the triwizard tournament. But when his name magically flies out of the golden goblet, he finds himself battling dragons, saving pupils, and solving puzzles. 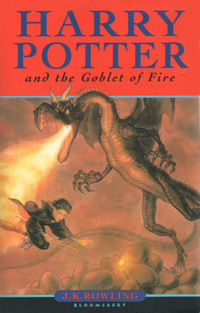 I love this book because it is full of adventure and Harry, Ron and Hermione are brave and brainy.